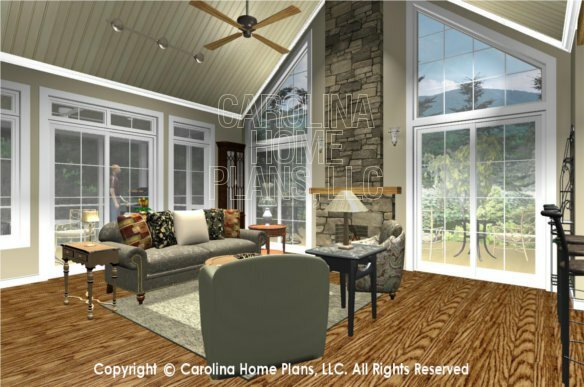 This unique craftsman style small cottage boasts a cathedral ceiling great room and a spacious bonus room above the garage. 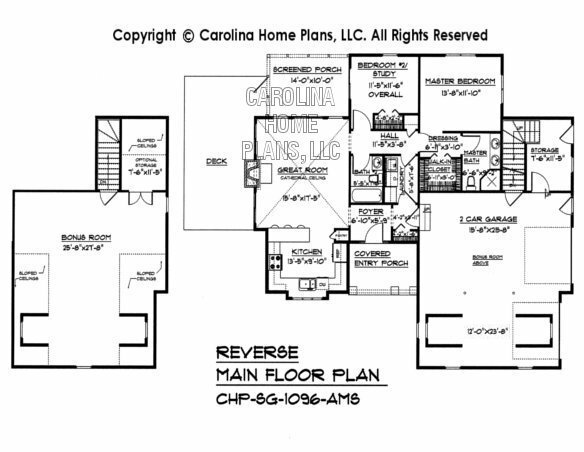 The kitchen features a large front window and lunch counter/bar opening to the great room for casual entertaining. 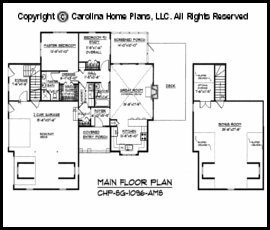 The open floor plan layout invites stunning views, natural light and easy livability with access to a large screened porch and deck. The floor to ceiling stone fireplace adds to the dramatic cathedral ceiling and window wall of the great room. 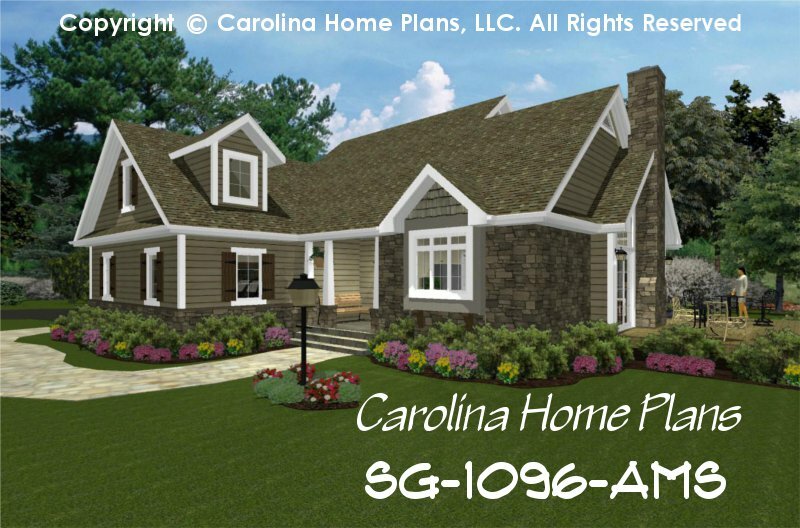 This small craftsman cottage plan features a private master bedroom, 2nd bedroom or study and 2nd bath. 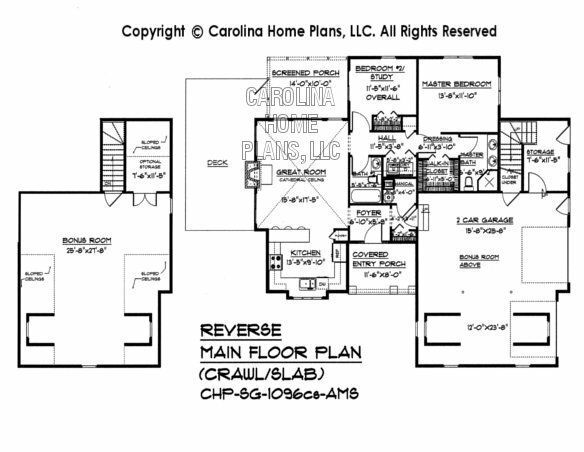 A laundry and 2-car garage complete with additional storage and stairs to a large bonus room make the most of a small, compact floor plan. 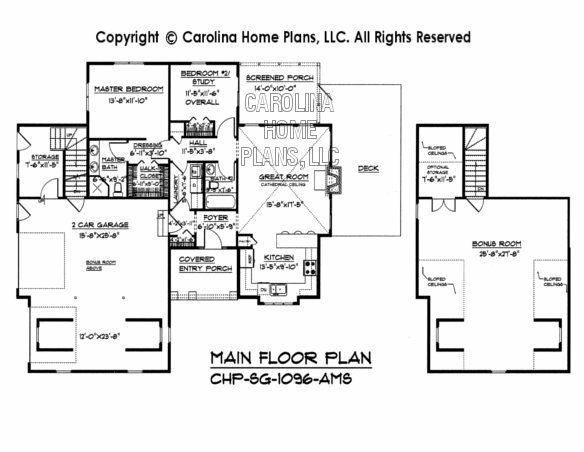 This 2 bedroom, 2 bath small craftsman cottage house plan also features a full basement for more storage space or is available with crawl space or slab foundation. Available options and pricing: See below. 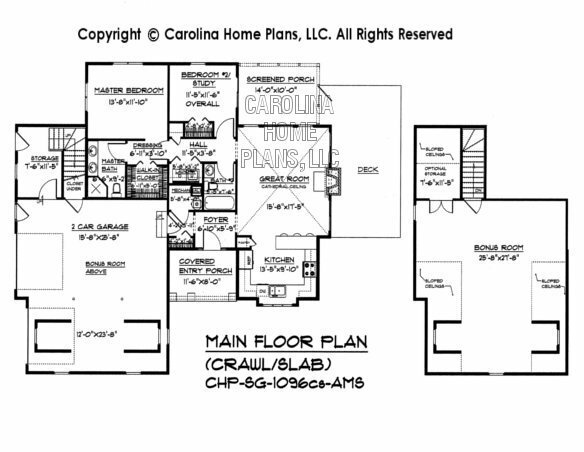 Ceiling Height 9', Grt Rm: 16'-3"
Digital Set prints-out at 24"x36"